Finally its back again (but for Firefox browsers only so far): the toolbar in the design of the 321 Tigers. How it works is found here. 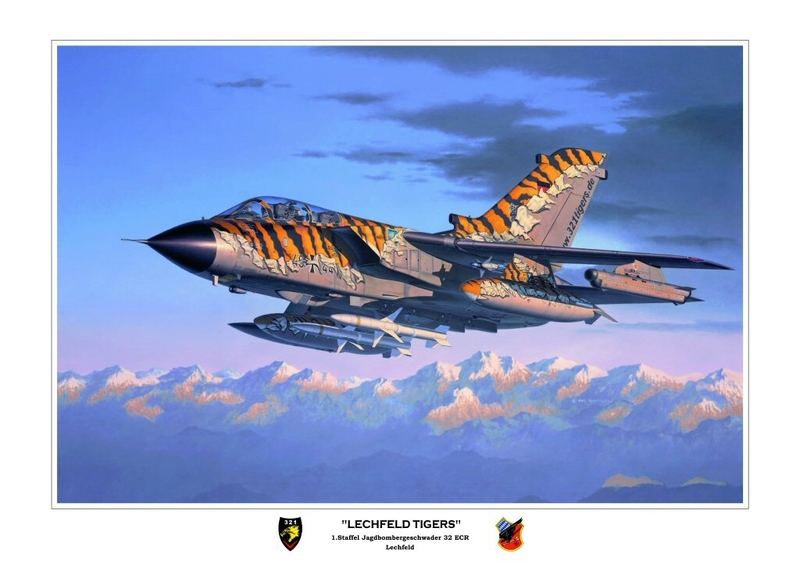 This is the official squadron print, as it was presented as a good-bye gift to squadron members, or a squadron gift to the host of e.g. tiger meets. Find these and more Procedures here on the mirrored MIL AIP pages. Banner Exchange: you have your own homepage and want to link on us? You want to place a link to your homepage? Your site should somehow stand in context to the "flying business". Keep the URL of your banner available. Change via the link at the bottom of this enumeration to the ffa section and select there "Insert a new link". Fill in the form and send it away. A banner will be shown after inspection by the webmaster. In case of error or mistyping mail to the webm@ster together with a description of the desired correction. You want to come to Lechfeld?